Dispatch magazine is back! Or rather it's under new management, but it's more exciting to say it's returning with a vengeance. And with it, more writing from yours truly as I'll be contributing, hopefully on the reg. The magazine was revived with support from Down East magazine, which means that while Dispatch has its own staff and freelance writers, it now receives publishing and editing help from Down East. You can find your complimentary copy around Portland, and in it, you'll see some of the same bold photography and layout that Down East has been embracing lately. 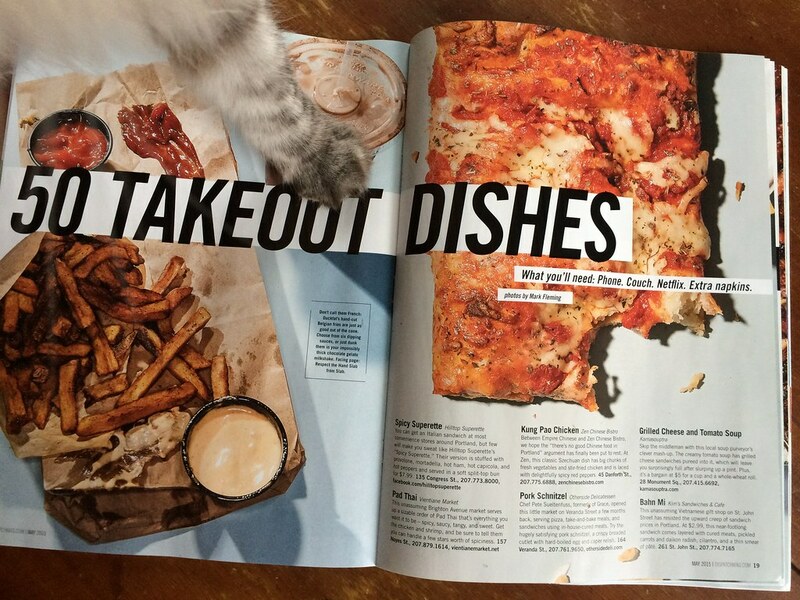 The May issue has a "50 Takeout Dishes" in Portland spread, and I contributed the first 10 or so items. My cat was very interested in what was going on with this magazine. 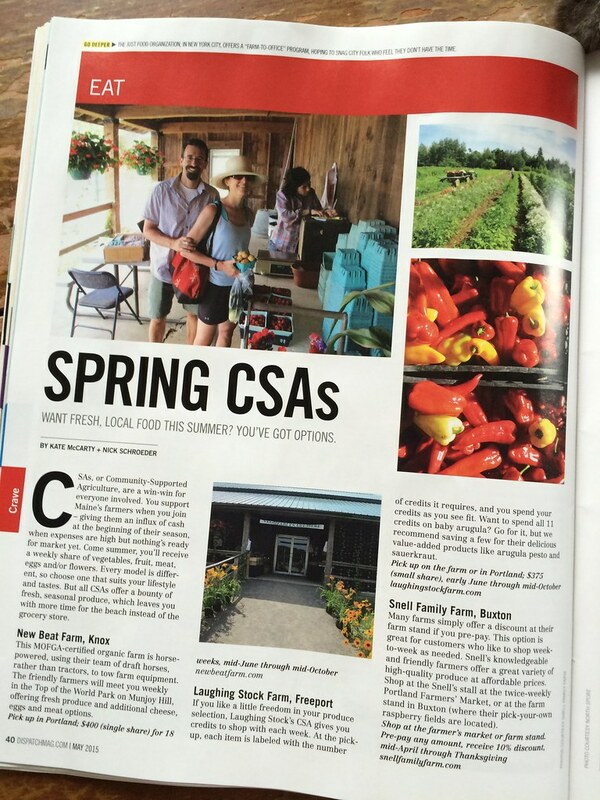 I also contributed to a short piece about CSA options in Maine. I tried to select farms that represents a variety of different approaches to the model, including the farm from which I get a CSA: New Beat Farm. 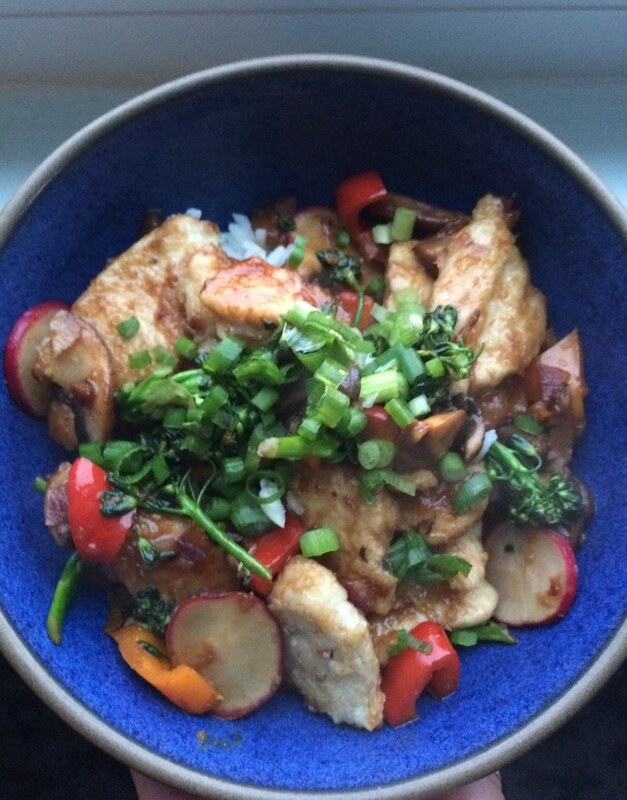 The farm is in Waldo, but they deliver to Munjoy Hill. It's one of the (if not the) most reasonably priced shares, at $400 for 18 weeks. The Portland Farmers' Market moved outside this week (!!! ), a good sign of the seasons changing. Change, dammit. We'll soon have locally-grown rhubarb, peas, strawberries, and greens. I'm ready to move away from hearty, earthy vegetables. 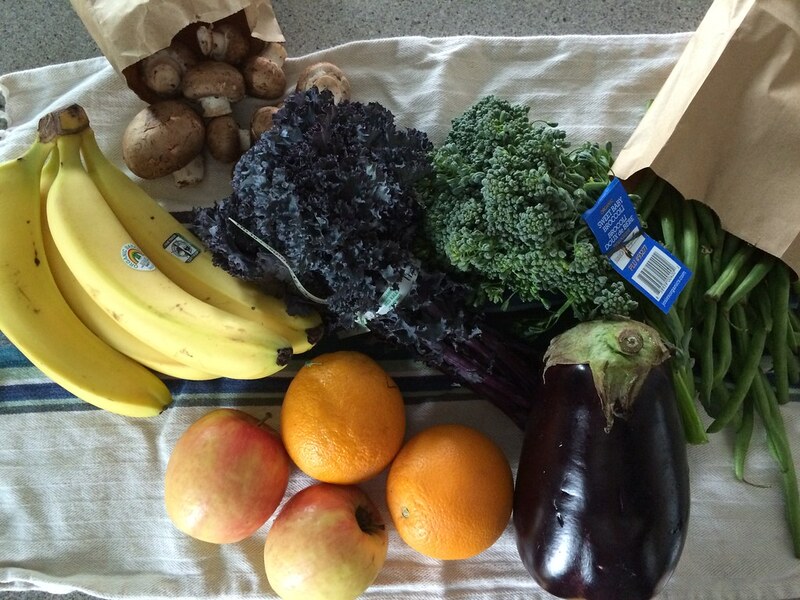 My weekly share included: two oranges, two apples, four bananas, an eggplant, a bunch of purple curly kale, a bag of green beans, a bag of mushrooms, and a bunch of broccolini. It easily made 4 to 5 meals for two. I made eggplant parmesan, sauteed green beans and mushrooms to serve alongside mashed potatoes and pork chops, and a chicken and veggie stir fry to use up whatever was left. A small share from Casco Bay Organics is $34 for a week. 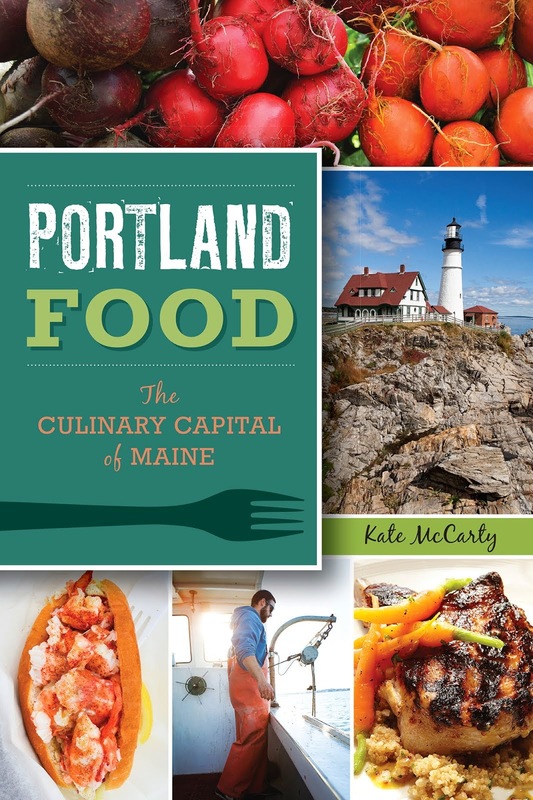 The company is locally-owned and uses produce from Maine farms when it's available. Obviously this mid-April share wasn't local, but we'll be seeing the local produce roll in soon enough! I'm really getting into home bartending. While I love going out, sitting at the bar, and letting someone else prepare me a delicious cocktail, I'm also embracing the challenge of making high-caliber drinks at home. For one, it's decidedly cheaper! 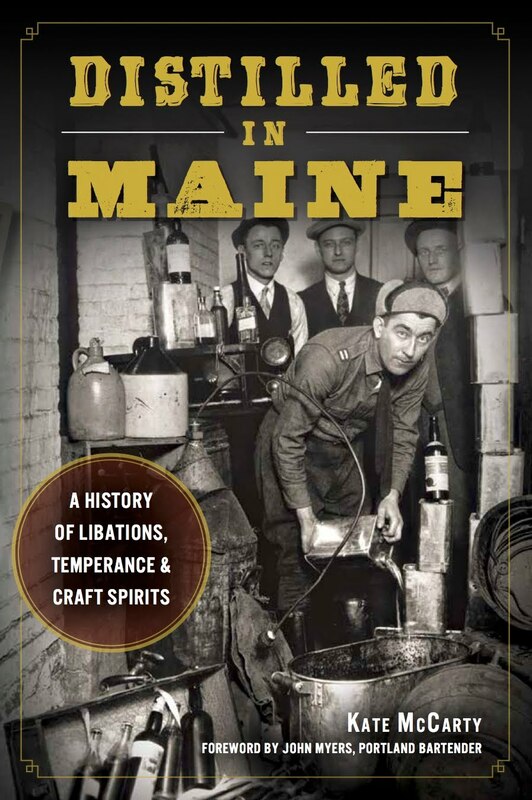 And it's fun to explore the world of liquors and liqueurs. After a recent spate of delicious Mai Tais (at Maison Premiere in Brooklyn and Eventide), I decided I wanted to tackle making the best version at home. Fortunately, many before me have done the heavy lifting of figuring out which rums are best for the drink. Original Roomie A. picked up Appleton Estate, a Jamaican rum, aged for 12 years, and the Clement Creole Shrubb, a rhum agricole infused with orange peels and spices (both available at RSVP in Portland). The other uncommon ingredient in a Mai Tai is orgeat syrup, a simple syrup infused with toasted almonds and orange flower water. You can make your own, but A. went to Vena's Fizz House and bought B.G. Reynolds'. I'm still eyeing Small Hands Foods version, but we have enough to last us a while now. Once you've dropped some dough at RSVP, the hard part is over. Now you just need to make up a turbinado (aka sugar in the raw) simple syrup of one part sugar to one part water and squeeze some limes. Combine all ingredients in a cocktail shaker over ice. Shake vigorously and strain into a glass filled with crushed ice. 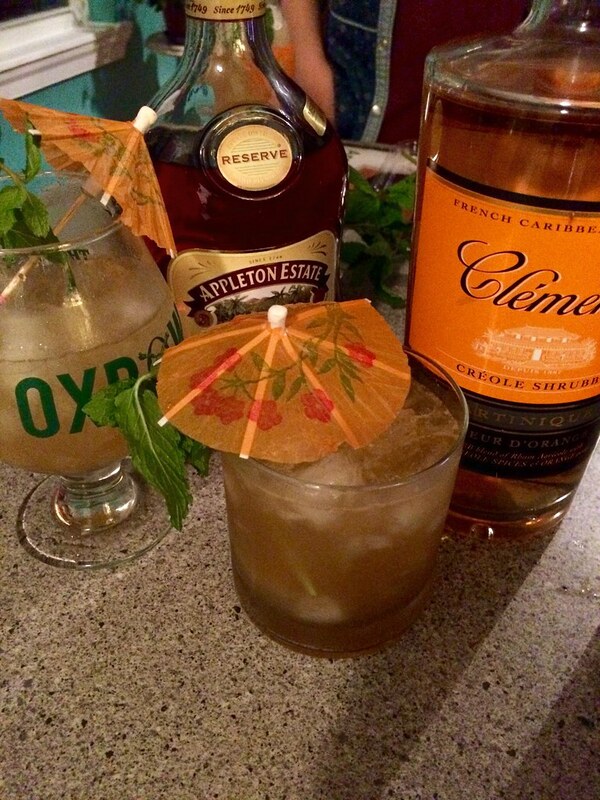 Garnish with paper umbrella, lime wheel, and mint spring. For good measure, we had a backup drink for after those easy-drinking Mai Tais disappeared. I'd previously frozen pineapple juice in ice cube trays after a mid-winter pick-me-up Pina Colada session. I combined those, some Myer's rum, some Cream of Coconut, and some lime juice in the blender. After some questionably unsafe techniques were employed with a small saw, screwdrivers, and a rolling pin, we hollowed out some coconuts and enjoyed our tropical drinks out of them. It's almost summer, I can feel it. I've become pretty obsessed with all things tiki lately (well, as it relates to drinks, at least). And I know that in the bartending world, I'm probably at least five years late to the party. I just said to a friend in the beer industry that I heard goses were "so in." She cut me a look, and said, "yeah, like three months ago" - meaning more that by the time the mainstream hears about a trend, the industry is off and running to the next new thing. But I'm still tiki'ing over here - I don't think we've jumped the shark yet! 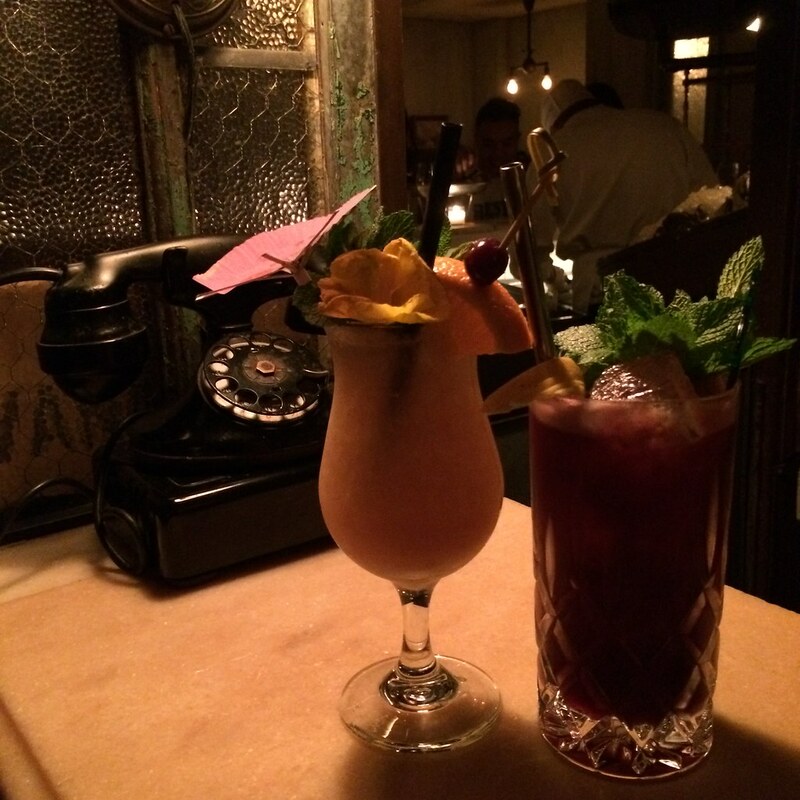 But by the 80s, the drinks had gotten all syrupy and overdone (so I hear) and were due for a makeover. The craft cocktail renaissance of the 00s kicked out the corn syrup and brought the Mai Tai, the Zombie, the Pina Colada back into balance. Mai Tais at Eventide Oyster Co.
My favorite place to get tiki drinks in Portland is, hands down, Eventide Oyster Co. I gravitate towards the rum tiki drinks - so I enjoy the Mai Tai, the Walking Dead, and on occasions, a Scorpion Bowl. 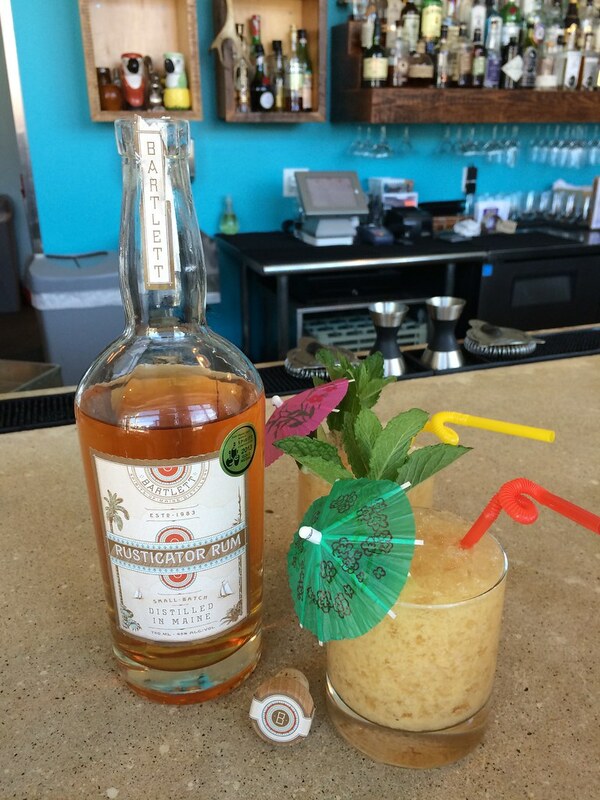 In addition to Caribbean rums, flavored syrups, and fresh juices, Eventide's bartenders complete the effect with great garnishes like paper umbrellas, bendy straws, and fresh fruit. 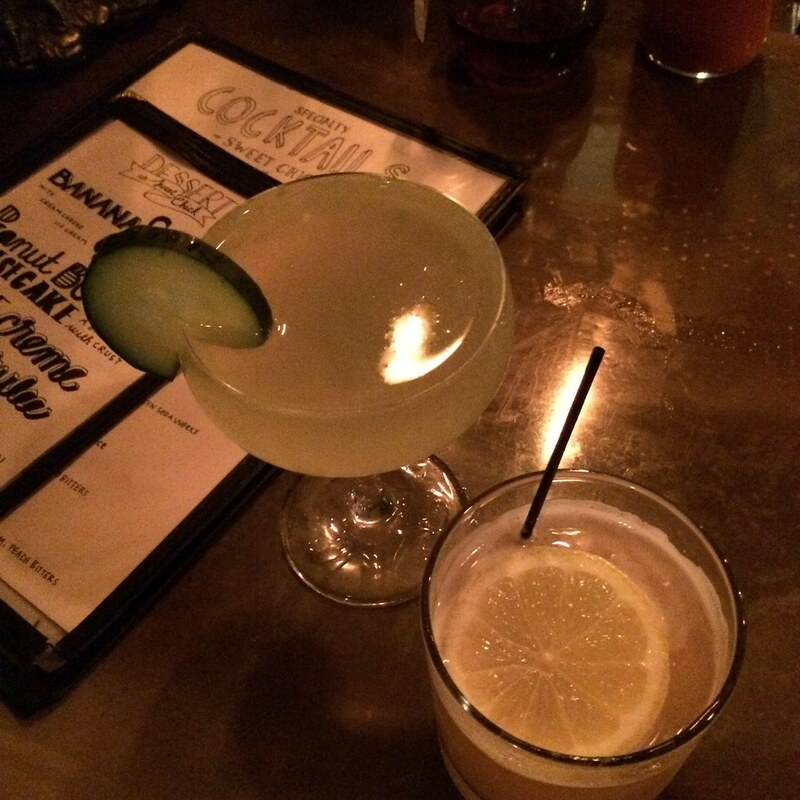 Sipping on one becomes very "Calgon, take me away." I'm working on building my home tiki bar (OK, I should say, Original Roomie A. is building one on my behalf), so I'm looking forward to the Tiki Cocktail Seminar during the Portland Rum Riots events. 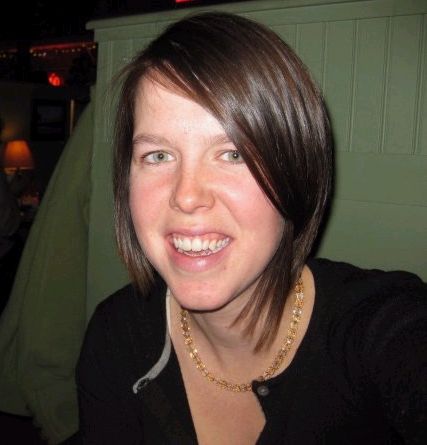 Briana Volk of Portland Hunt & Alpine Club is organizing a fantastic weekend of workshops, dinners, and themed events at bars around Portland, May 30th through June 3rd. 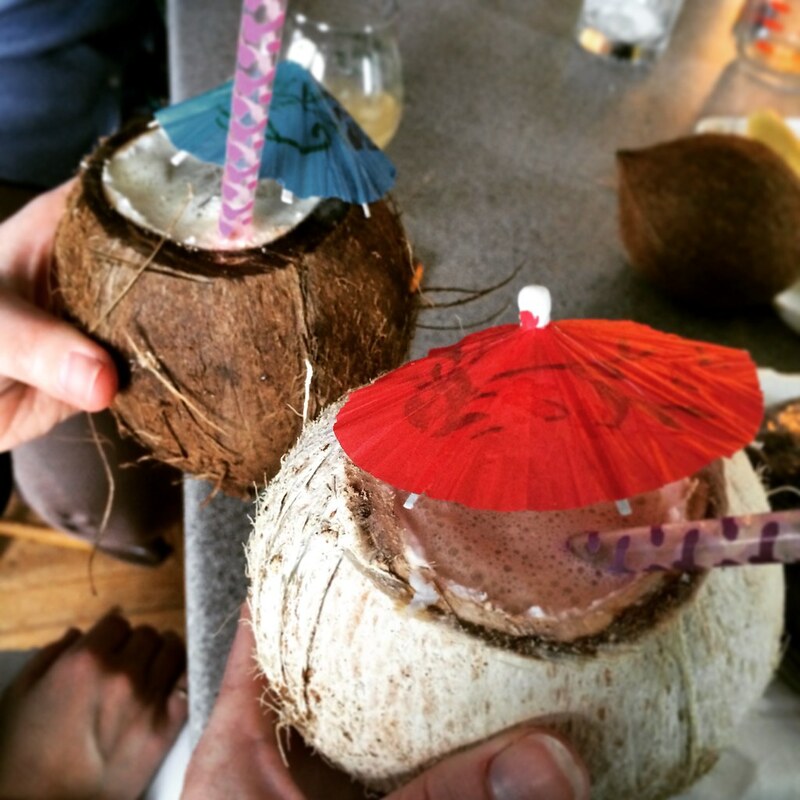 The Tiki Seminar is taught by friends of Briana's, who bartend at the tiki bar The Yachtsman in Philadelphia. It's at Hugo's on Saturday, May 30th from 1-3pm, and snacks are provided by Eventide. The tickets are limited to 40 and going fast, so if you want to go, grab one now. If that event sells out or you can't make it, dry your tears on a bar napkin at one of the other fantastic events. Maybe you want to learn about the intriguingly weird-tasting Italian liqueur Chartresue? Or cocktail books with bartender John Myers and Don Lindgren of Rabelais Books? Maybe you want to help to judge a shot and a beer competition? It's all there for the taking. Briana has done the community a fantastic service by putting these events on in our little town, so let's get out and support them! View the full Rum Riots schedule of events at rumriots.com. 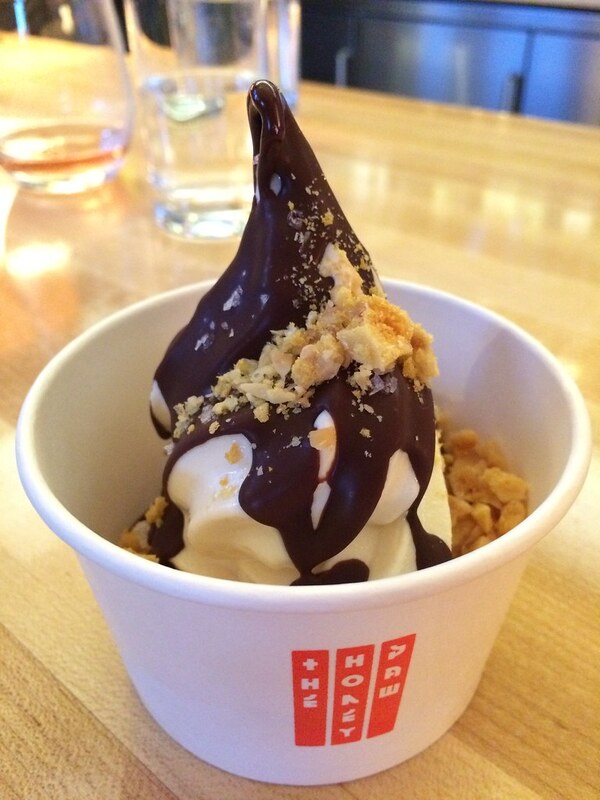 The Honey Paw, the much-awaited "non-denominational noodle bar" from the owners of Hugo's and Eventide Oyster Co. is now open. They are open from 11 a.m until 10 p.m. today through Monday at 78 Middle Street (next to Eventide). 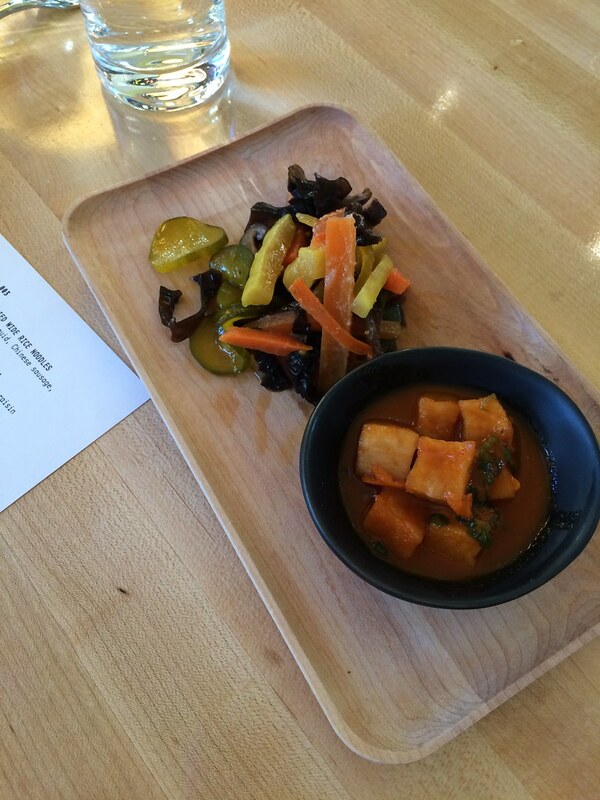 mushroom, and compressed daikon pickles. 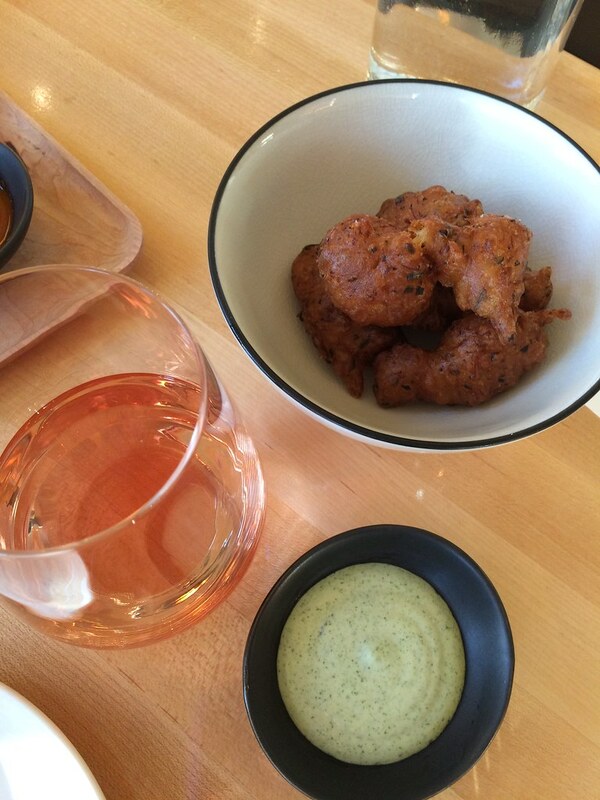 Tofu and crab fritters - and pink wine! 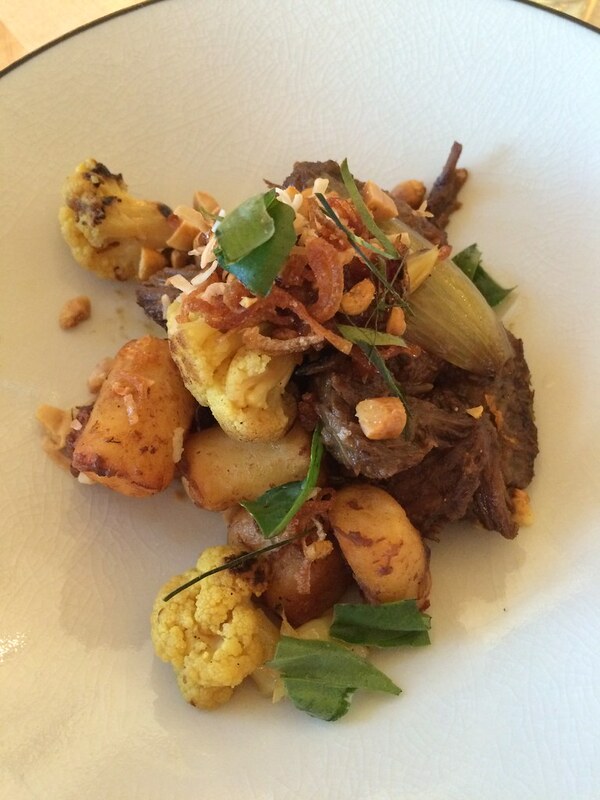 Rice and potato dok with beef rendang and pickled cauliflower. Phew. Now that I've looked back on these photos of my weekend in Brooklyn, there was a lot of eating and drinking. As usual, we were just killing time between meals. We visited Original Roomie A. 's favorite spots around her friend's apartment, where we were staying in Williamsburg. My special request was Smorgasburg, the outdoor food festival that happens every Saturday in the warmer months, and Mission Chinese, but other than that, A. curated our spots. It's hard to avoid comparison of Brooklyn and Portland, in that you think to yourself, what's all the hype about here? Things are different in Williamsburg, for sure, but at the same time, I was again reminded why Portland's food and drink scene is so impressive. 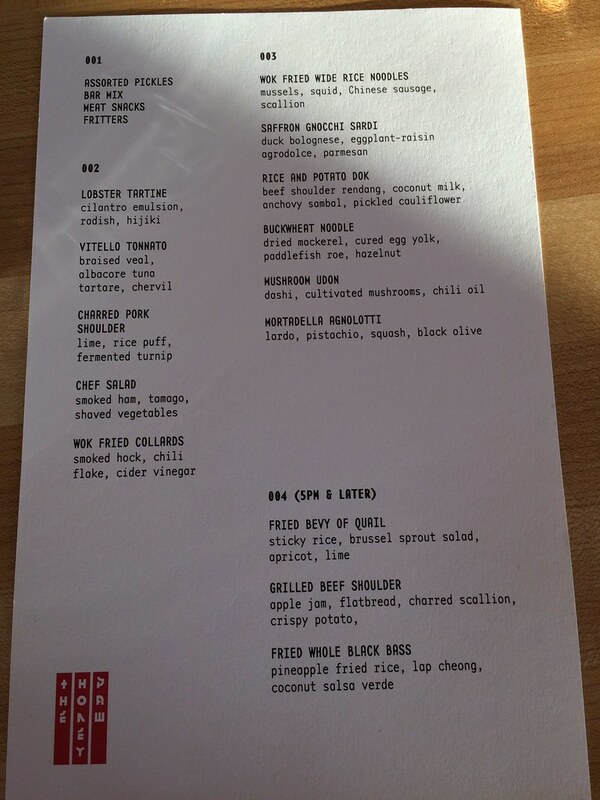 The food we enjoyed at the hip spots could have come from several restaurants in Portland - I didn't once think, "oh, this could never work in Portland" or "you can't get X this good in Portland." Aside from the chopped salad restaurants that we're lacking, our Portland darlings like Duckfat, Eventide, East Ender, and Central Provisions could all hold their own against the similar Williamsburg restaurants in which I ate. But the waits for a table are shorter in Portland, and you'll never have to stand in a vestibule overhearing an annoying conversation about how a gaggle of 20 somethings should just go to that rooftop bar and order bottle service (yes, yes, you should go and do that - please). 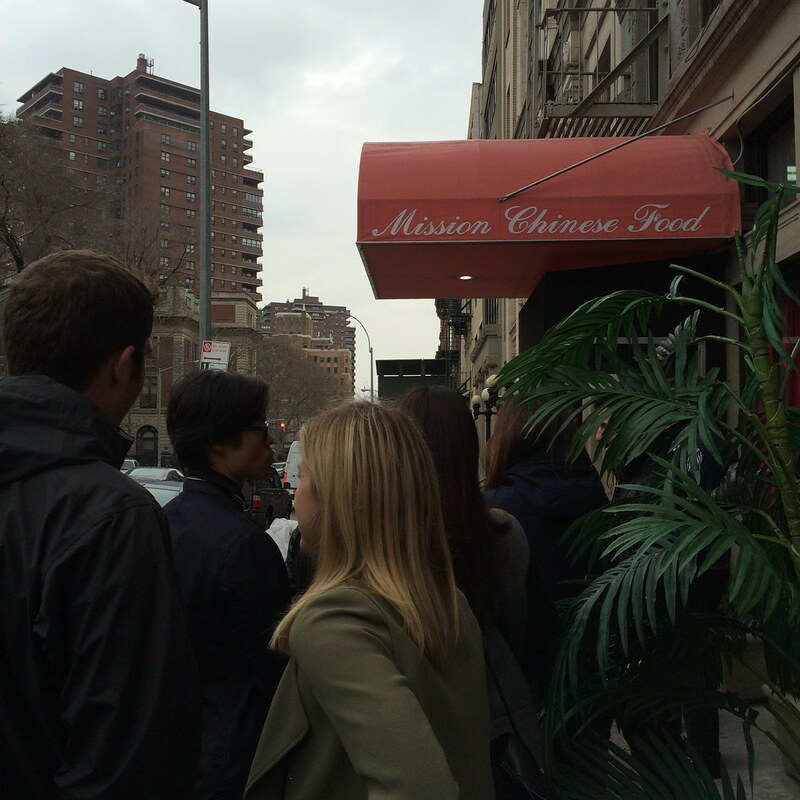 So speaking of waiting in line, we started with Mission Chinese in Chinatown, and arrived early (5:15) to find a short line. We only waited a few minutes before we all filed in and were sat. 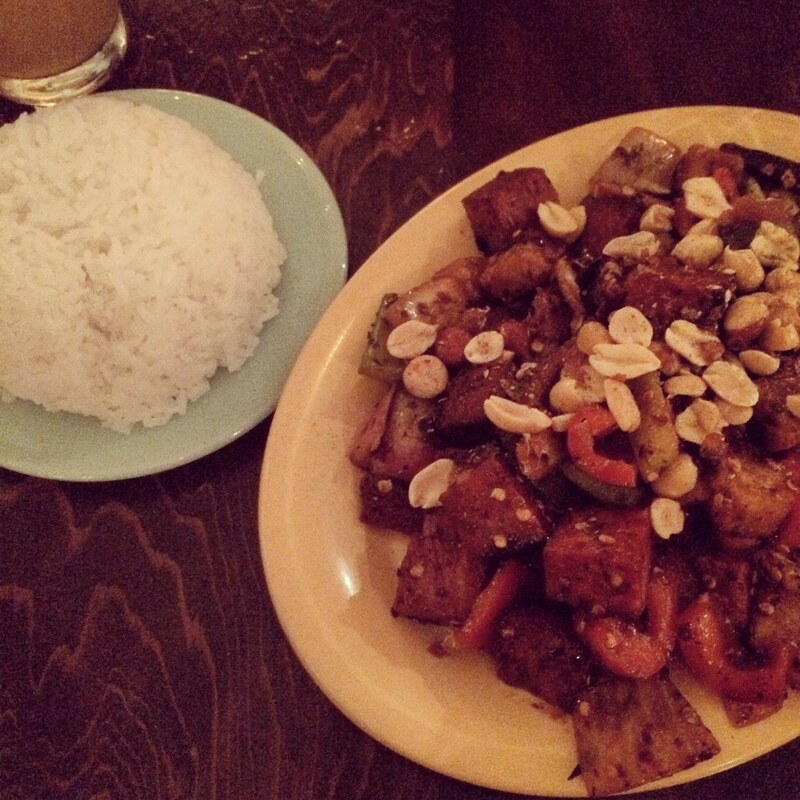 Mission Chinese is a fun spot, with dim lights, loud club music, and bizarre decor. We ordered a pickle plate, beef tartare, kung pao pastrami (below), and salt cod fried rice. The kitchen sent scrambled egg and scallion dumplings, which along with the beef tartare were the standouts. The liberal use of sichuan peppercorns and their mouth-numbing effect failed to impress us; it just interrupts your ability to taste the food. But our Evil Twin Mission Goze, a salty, sour beer, paired really well with the food. But overall, we were not in love with Mission Chinese - it was fine for what it was, but if we'd waited over two hours (as the wait is during prime time), we would have been aggravated. Later in the evening, we enjoyed lovely cocktails at Maison Premiere, an adorable French oyster and cocktail bar. There's a long list of absinthes, the bartenders wear delightful old-timey outfits, and the cocktails were fabulous. I had a Mai Tai and A. enjoyed a Lexington Crusoe: Plymouth Sloe Gin, Malort, pacharan, lemon, pineapple, and blackberry. 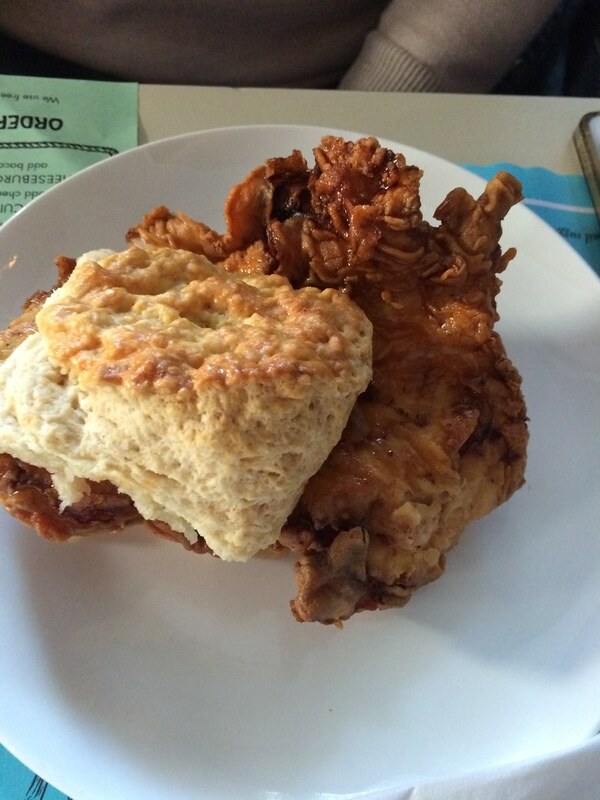 We checked out Sweet Chick, a new Southern-style restaurant to enjoy a late-night drink. There's a entire section of the menu dedicated to chicken and waffles, so I loved the place immediately, even though the entire bar seemed to be covered in a fine layer of Aunt Jemima. A. enjoyed a gin and limeade cocktail while I was drawn to the Scythe and Sickle: tequila, mezcal, pineapple juice, lemon, and spicy agave bitters. 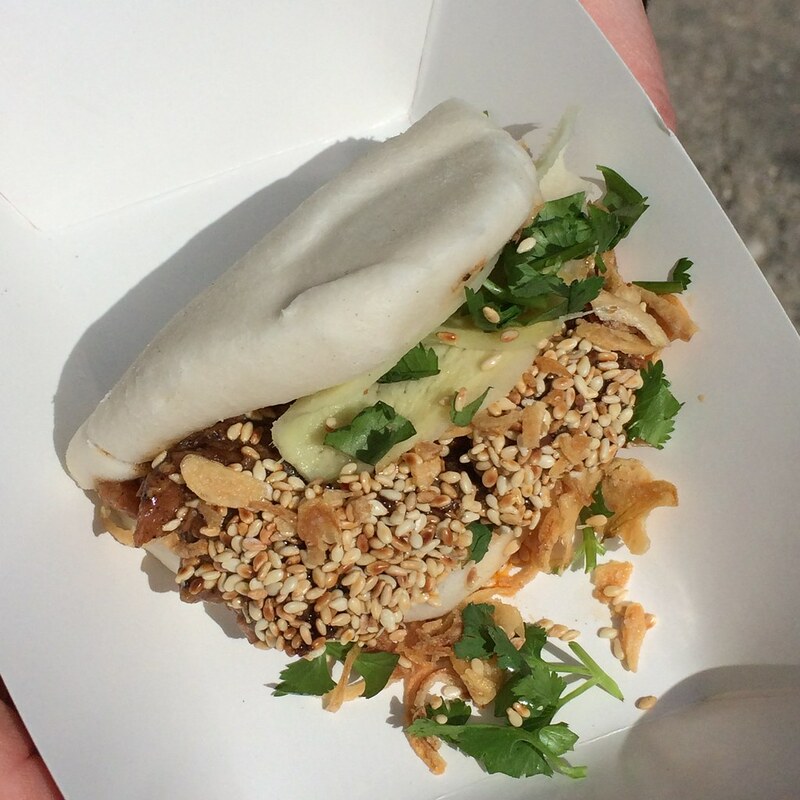 The next day, we headed to Smorgasburg, the outdoor food festival. It was extremely windy, so we didn't stick around for long - we were afraid we were going to witness a decapitation by flying sign, so we headed out after a few snacks. We enjoyed a duck bun from Bite Size Kitchen (above) and a hotdog topped with mango relish, cucumber, peanuts, cilantro, and fish sauce from Asiadog. For a late lunch, we tried Rabbithole. The staff was so friendly there - the host exclaimed, I want to go to Maine! after he asked where we were from. 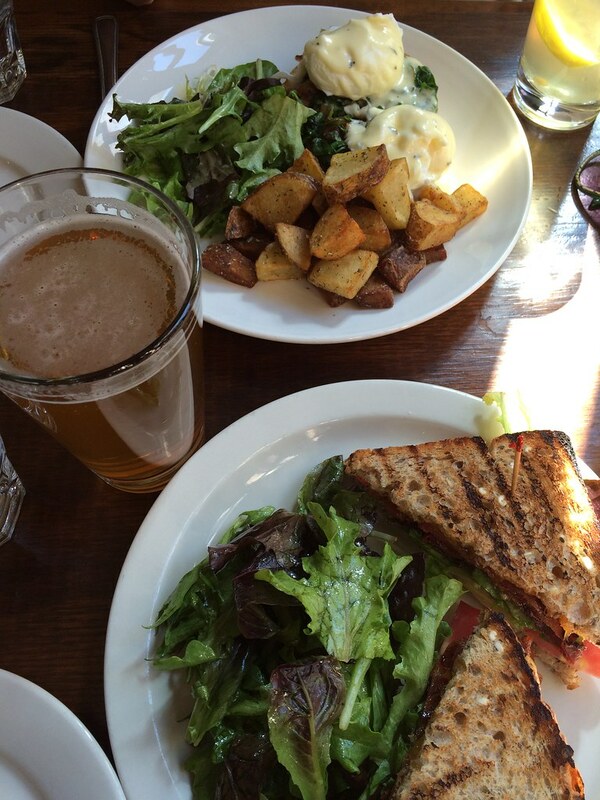 We enjoyed a BLT with avocado and an eggs benedict florentine in a sunny window overlooking their sweet patio area. Later in the afternoon, we went to Greenpoint to Keg & Lantern, where my college friend is the brewer. 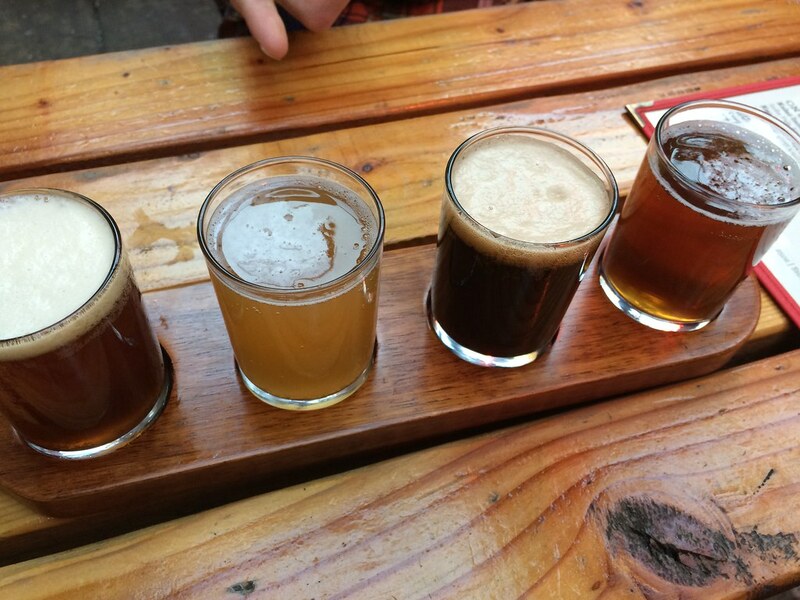 We tried a variety of styles in a flight: a Scottish ale, a wild American white ale, a coconut porter, and a rye IPA on cask. PJ showed us around the neighborhood a bit, taking us to Torst, the craft beer bar from the brewer of Evil Twin. I enjoyed an Other Half triple IPA in the chic bar - I didn't even know TIPAs existed! Of course I was in. Next, we headed to Greenpoint Fish & Lobster, a really fabulous small seafood restaurant with a fresh fish counter in the front. 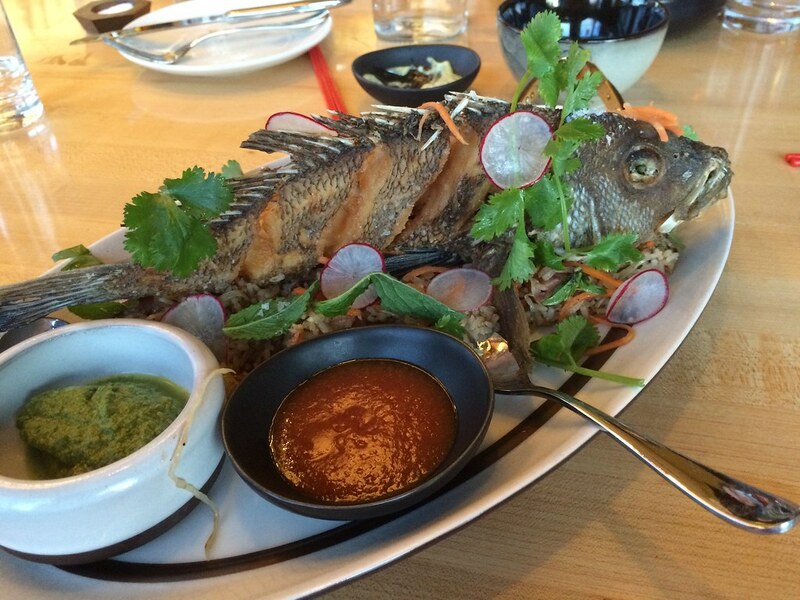 Their menu is simple and the types of fish in each preparation change frequently. Of course, I got to engage in one of my favorite activities since moving to Maine: laughing at the price for a steamed lobster when out-of-state. Here? $29. Tee. 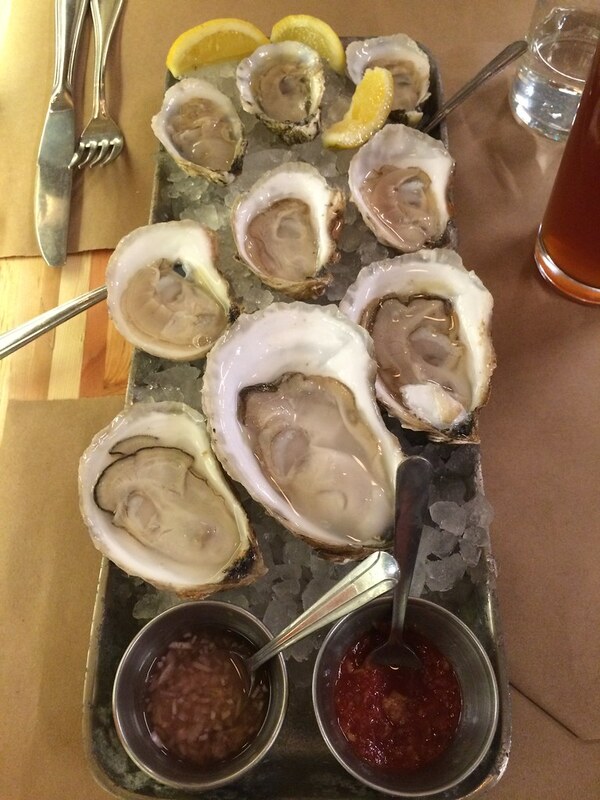 We enjoyed oysters from Mass, Maine, and Virginia before chowing on some delicious hake tacos. Then we said our goodbyes to my friend and headed back to Williamsburg - to Brooklyn Surf Bar, an adorable tiki-themed bar with sand on the floor (!!!). The next day, however, the tiki drinks haunted me, so we headed to The Commodore, a dive yacht bar, for fried chicken on a biscuit. A little Ferris Bueller's Day Off and a mimosa and I was good to head to Red Hook for some distillery tours. Red Hook is just the cutest little part of Brooklyn. There's no convenient train stop, so there's hardly anyone there (except for in the IKEA!). There's tons of industrial space that allows for distilleries, wineries, and food vendors, and then little artisan shops too. 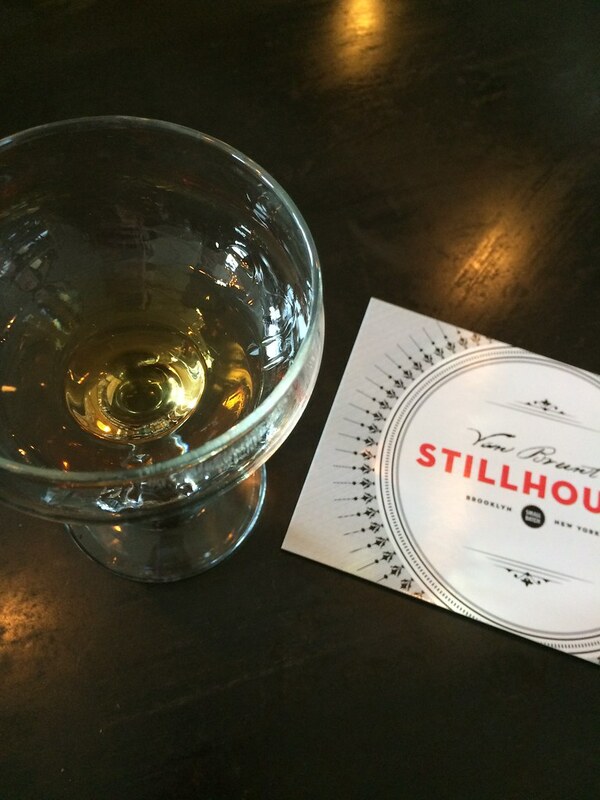 We started at Van Brunt Stillhouse, where the nicest duo gave us a tour and a tasting of their whiskeys. They make cocktails in the distillery's tasting room, and in the summer, with the large windows open, I'd never leave. They'd have to make me an intern or something, since I'd be there all.the.time. We loved it. After tasting at Widow Jane distillery and a walk around the water, we were worn out, so we headed to Fort Defiance for a final snack. 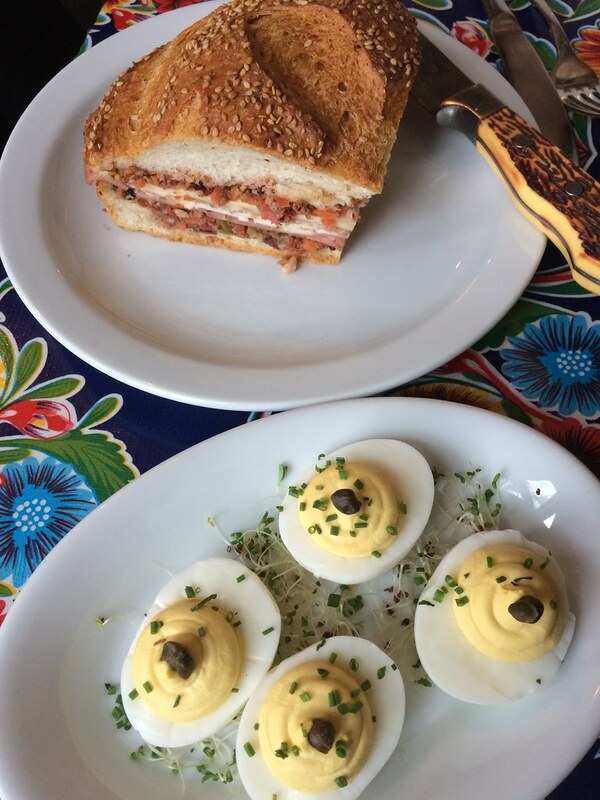 We shared a muffaletta, deviled eggs, and I enjoyed an extremely fluffy Ramos gin fizz. After all that eating, drinking, and walking, I was ready to come home! Once again, I ate my way through Brooklyn, and returned to Portland with a fresh appreciation for why I love living here.